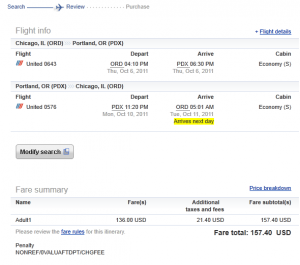 The Flight Deal | Continental/United: Chicago – Portland, Oregon (And vice versa). $157. Roundtrip. All in. 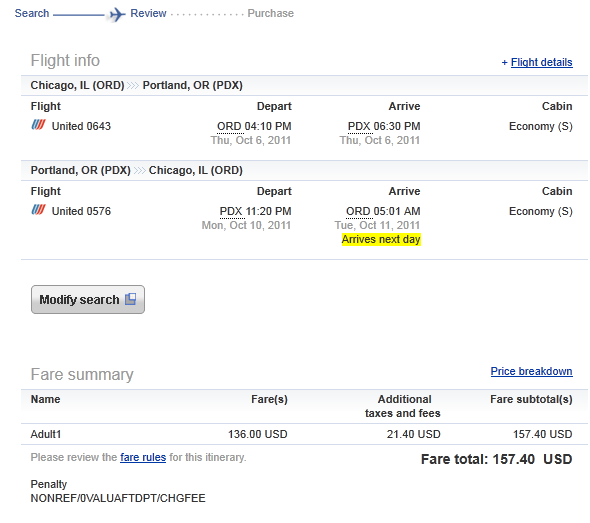 Continental/United: Chicago – Portland, Oregon (And vice versa). $157. Roundtrip. All in. Portland, Oregon — the country’s most bike friendly city with an awesome food and music scene. Definitely worth checking out! October 6th – October 10th. Valid for travel until December 15th for travel almost everyday except for Thanksgiving. Use http://matrix.itasoftware.com and flexible month search to see exact dates. Must be purchased 10 days prior to travel. Also works from PDX – Chicago.